This is wishlist is a perfect example of want not need, although, sometimes it is quite hard to draw yourself away from an item you've been lusting over and remind yourself to distinguish between those two feelings. I've ventured into town on a Saturday the past two weeks running for shopping purposes and yet I haven't came back with any clothing, make up - yes but, for me it's clothing over make up on mostly all occasions. It seems that whenever I have money I am willing to spend, the shops aren't up to scratch, anyone else feel this way? I'm sure it can't just be me. Even if there are a few items that catch my eye, they always seem to not have them in my size or they're way to expensive... the pains of shopping. Yes, I know i'm being way too overly dramatic, but it's the way it is. 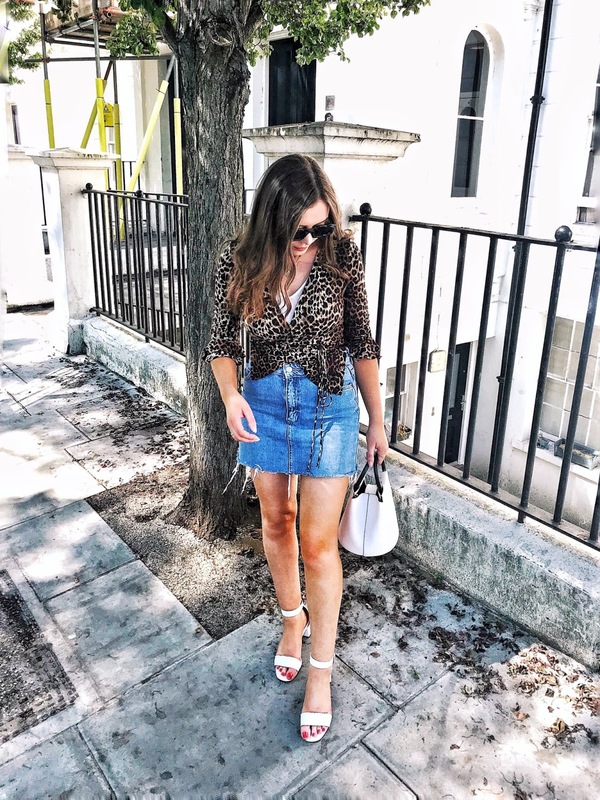 On one of my trips into topshop I tried on the acid wash denim skirt, I had to resist the urge to purchase it as I knew that I wouldn't get any use out of it until April (if we're lucky in England) I'm hopeful that it'll remain in stock as it is a summery item. This would also fit perfectly with the crotchet top.... ahhh spring please hurry! Even though i'd say i don't own an excessive amount, I have a great weakness for shoes. These lust worthy Jeffrey Campbell shoes are heaven (or rather hell) to me, I have a bit of a spikes/studs obsession too and I love black... I just wouldn't be able to go wrong with these. I don't think that Jeffrey Campbell shoes are a ridiculous amount of money, especially this pair... I might just have to save up for them. I love the Cambridge Satchel Company, their bags are lovely! I found this greyish pale green design on asos, I usually stick to black bags so I would love to have this, especially to pop a little bit of colour into all black outfits. This particular bag is exclusive to asos and it is priced at £100, not too much eh? Finally, I came across this skirt a few weeks back and almost ordered it online, I didn't though and I have since to see it in the topshop i travel to in my city. 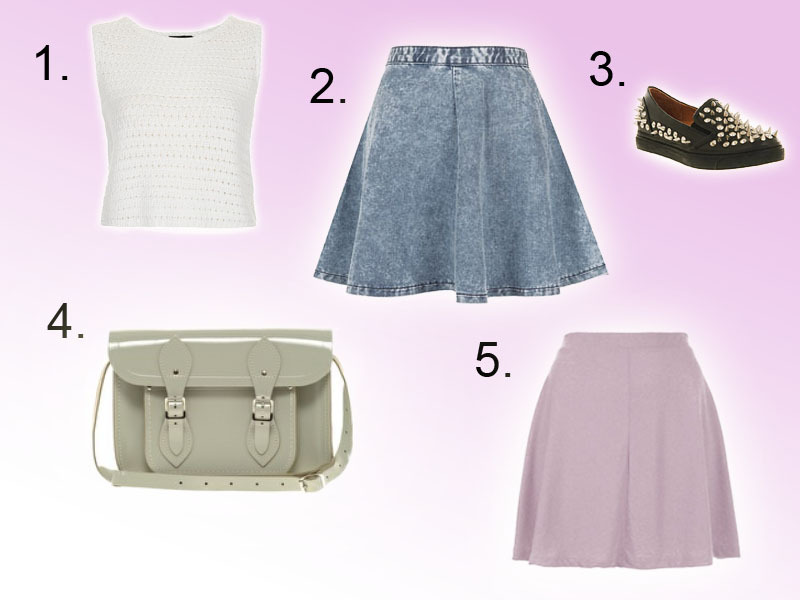 I love the pale lilac/pink colour, perfect for spring/summer (seeing a bit of a trend here?) It's only £16 which I think is an amazing price for topshop! 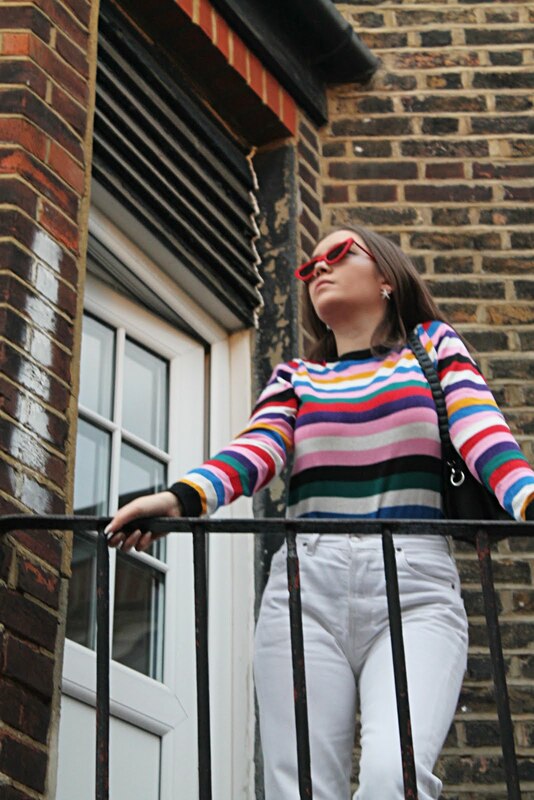 The items featured on this wishlist are mostly spring/summer friendly but the prices are a real mixture, some are affordable and some are more pricey. I am more of a gothic look loving kind of girl, I'll definitely still be wearing dark colours in the summer time, I don't see anything wrong with it - I'm not a big trend follower, I wear what I like. As spring/summer approaches I've been loving lighter colours but, when i picture outfits in my head inspired by one particular item I always see myself darkening it up with spiked boots, acid wash anything or a leather jacket, I don't think I am an entirely delicate look loving person.